We can advise on and supply a full range of paints. As well as standard choices like gloss/emulsion, you could opt for special finishes such as sponge or ragging effects, colour washing or blocking, marbling patterns or spray finishes. You can even go for special effects like flat finishes but with a glossy stenciled overlay. Walls, ceilings and floors are obviously the mainstay of our work, but we can also hand-paint items of furniture or fittings. Hand-painting kitchen units is a cost-effective way for you to get a new look for your kitchen at a fraction of the cost of getting a new one. (As an alternative, we can also offer spray finish). 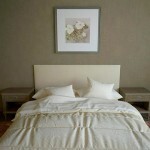 We can also paint other items like tables, chairs or chests of drawers. We operate right across North and West London, as well as further afield. For a free, no obligation quote, just call Vojtec Gutek on 07809 364 582 or 0800 002 9690. Even better, please complete and return the form on the contact page. Wondering what paint to use? 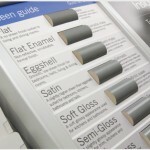 Satin, gloss or matte guide. 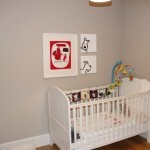 Decorating tips to make your babies bedroom stimulating. Noisy pipes in the house. 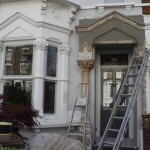 Painters, decorators, plumbers and heating engineers for your home.